All travel arrangements booked through this web site will be made by Holiday World Ltd. who act as a retail travel agent for all suppliers. We are fully bonded members of the Travel Trust Association, membership number R5735. The Travel Trust Association is a trade association of travel agents, tour operators and travel organizers that operate trust accounts, in order to provide financial protection for you, the customer. Any payments you make are held in this trust account and are not released until you receive your holiday or your funds are released to another company that provides for your financial protection. Holidayworld Ltd. trading as villafinders.com, corsicavillaholidays.com and greecevillaholidays.com acts as a retail travel agent for the following ATOL approved and bonded tour operators. SIMPSON TRAVEL ATOL. NO. 5858 Simpson Travel is the trading name of Far & Wide Ltd.
CORSICAN PLACES ATOL. NO. 1866 Corsican Places is the trading name of Serenity Holidays Ltd.
GREEK ISLANDS CLUB ATOL. NO. 0848 Greek Islands Club is the trading name of Villa Centre Holidays Ltd. If you choose to make a booking via our service your holiday contract will be bound by your chosen operator's terms and conditions which will also form the basis of your contract with them (we will forward details of your operator’s terms and conditions if you request them). Please note that Holiday World Ltd. acts as an agent only and we have no liability in relation to the package or for the acts or omissions of the tour operator connected with that package. The contract for your holiday is directly with the tour operator concerned. To make a booking, the party leader must be at least 18 and must be authorised to make the booking by all persons named on the booking. The party leader confirms that he/she is so authorised and that all party members agree to be bound by the Booking Conditions. The party leader is responsible for making all payments due to us. Once you have made a booking we will issue a receipt for the card payment, and the Supplier's Confirmation Invoice & ATOL Certificate (if the holiday includes flights) will follow. It is your responsibility to ensure that all details of the confirmation invoice are correct, and to inform us of any discrepancies upon receipt. You must ensure that you are familiar with the booking conditions of your tour operator as these form part of your contract with the tour operator. Contact us immediately if any information on the acknowledgement or confirmation appears to be incorrect or incomplete as it may not be possible to make changes later. We regret we cannot accept any liability if we are not notified of any inaccuracies in any document within 24 hours of you receiving it. We will have no responsibility for errors in any documentation except where these errors were made by ourselves. Any acceptance of such responsibility will also be subject to the time limits set out in this clause for notifying us of any inaccuracy. In order to confirm your chosen holiday, a non-refundable deposit will be required (or full payment if booking within 8-10 weeks of departure - depending on the tour operator) We will confirm the deposit amount required as this varies with each property (normally the deposit will be somewhere between £150pp - 20%). The balance of the holiday cost must be received by us not less than 8-10 weeks prior to departure depending on the operator you book with.. The balance due date will be shown on the confirmation invoice. If we do not receive all payments due (including any surcharge where applicable) in full and on time, we reserve the right to treat your booking as cancelled by you. In this case the cancellation charges set out in the tour operator’s terms and conditions will be payable. We do not make any charges for payments when paid by a Switch or Delta card. Payments made by Visa or MasterCard credit cards will be subject to a 2% handling fee. AEMX payments are subject to 2.25% fee. The prices shown on our website are a guide and will be confirmed at the time of booking. As we act as an agent we are obliged to pass on to you in full all additional costs, charges, or surcharges of whatever nature imposed by the tour operator in accordance with its own terms and conditions. On rare occasions, due to a data inputting error or technical glitch, the website may offer a price for a product that is incorrect. Should this occur we retain the right not to confirm the booking of the product and will respond with the correct price as soon as we are aware of the error. Should you wish to make any changes or alterations to your confirmed holiday, you must notify us in writing as soon as possible. Whilst we will try to assist, all amendments are at the discretion of your tour operator, and will be subject to amendment fees as per their terms and conditions. We reserve the right to levy our own administration fee in addition to the tour operator’s fee but this shall not exceed £10 per person. Please note: For flight inclusive bookings (in particular those involving scheduled flights), airlines do not permit name changes after tickets have been issued for any reason. Charges are likely to be the full cost of the flight. Should you or any member of your party need to cancel your chosen holiday once it has been confirmed, the party leader must immediately advise us in writing. Your notice of cancellation will only be effective when it is received in writing and acknowledged. The applicable cancellation charge will be those set out in the booking conditions of your tour operator. Comprehensive travel insurance is essential and is a condition of travel for most of the operators we deal with. We suggest you carefully read your operator’s terms and conditions on the subject of insurance. If there is a change to your booking we will pass on the new details to you together with any compensation that the tour operator may offer. We accept no liability for any changes or cancellations made to the booking by your tour operator. Flight timings may be changed by the airline; the timings shown on your holiday confirmation or acknowledgement are the latest planned timings. Your actual flight timings will be shown on your tickets, and you should check them as soon as you receive them. We act as an agent for the tour operator. Your contract for your holiday is directly with the tour operator concerned. We accept no liability in relation to the holiday itself or for the acts or omissions of the tour operator concerned. The terms and conditions of the operator will apply to your contract (we will forward details of their terms and conditions with our acknowledgement). In the event that we are found liable on any basis whatsoever our maximum liability to you if we are found to have been at fault in relation to any service we provide as agent for the operator concerned (as opposed to any service provided by the tour operator for whom we are not responsible) is limited to the commission we earn or are due to earn in respect of the booking in question. In the unlikely event that you have any reason to complain or experience any problems with your holiday whilst away, you must immediately inform your tour operator’s representative and the supplier of the service(s) in question. We act only as agent for the operator concerned and therefore cannot accept any liability for your holiday. Any assistance provided in resolving a complaint in relation to any such booking is provided on a goodwill basis and in our capacity as an agent . If you have any special request, you must advise us at the time of booking. Although we will endeavour to pass any reasonable requests on to the relevant supplier, we regret we cannot guarantee any request will be met. If you or any member of your party has any medical problem or disability which may affect your holiday, please tell us before you confirm your booking so that we can check with the tour operator as to the suitability of the chosen arrangements. If the tour operator feels unable to properly accommodate the particular needs of the person concerned, they reserve the right to decline their reservation or, if full details are not given at the time of booking, cancel when they become aware of these details. The passport, visa and health requirements applicable to British citizens for the holidays we offer are available at www.fco.gov.uk. It is your responsibility to check for your own specific needs. Information on health is contained in the Department of Health leaflet T6 (Health Advice for Travellers) available from your local Department of Health office and most Post Offices. For European holidays you should obtain a Form E111 (details in leaflet T6 referred to above) prior to departure. It is also your responsibility to ensure that you are in possession of all necessary travel and health documents before departure. All costs incurred in obtaining such documentation must be paid by you. We regret we cannot accept any liability if you are refused entry onto any transport or into any country due to failure on your part to carry correct documentation. Holiday World is a fully independent travel agency bonded with the Travel Trust Association (TTA number R5735). We only work with secure tour operators. The operators we use offer excellent financial protection. In most cases, they are bonded with both ABTA and ATOL which means that in the extremely unlikely event of their financial failure, your money is held by an independent third party who will assist you in reclaiming your payments, or repatriating you if you are already abroad. For full details, follow the links above. 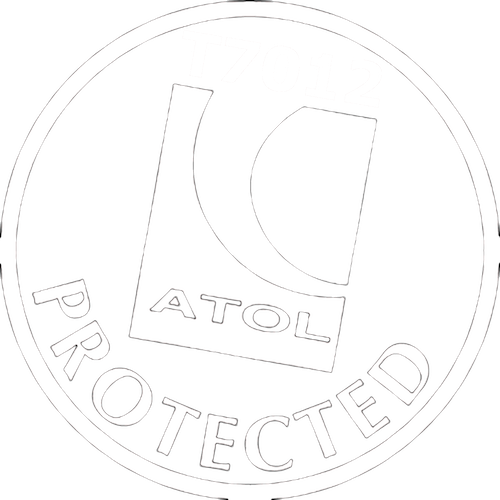 For your further protection, we are members of the Travel Trust Association (TTA). All funds received by a TTA Member are placed in their Trust Account. Where the TTA Member acts as an Organiser, as defined in the Package Travel Regulations, then the money received may be released once the return date has passed. If the package includes an airline ticket and that booking has been placed by the TTA Member with an ATOL holder, then the funds may be released to that ATOL holder. Occasionally we deal with smaller independent chalet operators who do not have their own financial protection to offer you. In these cases we purchase an additional insurance from the TTA on your behalf that ensures you are always 100% fully protected when you book any holiday from Holiday World Ltd. The majority of payments are accepted by Debit/Credit Card. The TTA has made arrangements with NatWest Streamline, Barclays Merchant Services, Lloyds Card Net and the Royal Bank of Scotland so that all TTA Members have PDQ machines that deposit automatically to the designated Trust Account. Cheque payments should be made payable to the designated account name and marked "account payee only”. For holidays where you have only booked accommodation and/or other ground arrangements, your holiday is protected bySupplier Failiure Inusrance issued by us through the Travel Trust Association. Our TTA Membership number is R5735.